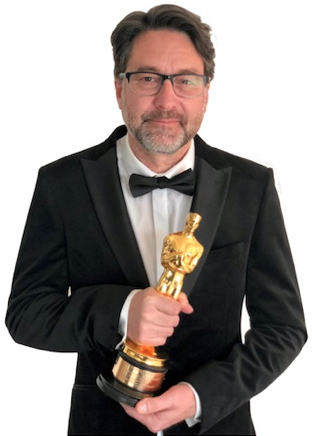 UK Production Sound Mixer John Casali (AMPS) was awarded an Oscar™ by the Academy of Motion Picture Arts and Sciences (AMPAS) for Sound Mixing for the movie Bohemian Rhapsody. For his work in Bohemian Rhapsody John was also included in the recent BAFTA award for Best Sound, included in the UK AMPS award for Excellence in Sound for a Feature Film, and included in the C.A.S. Award in the USA for Outstanding Achievement in Sound Mixing for Motion Pictures. All of his recording for Bohemian Rhapsody was accomplished with his two Aaton Digital CantarX3 multitrack field recorders. The CantarX3 is the state-of-the-Art 24 tracks audio mixing-recorder for Film Production but also Music recording, Sound Capture and Sound Design for high-end Gaming, Museum or live event Sound Design. It is a creation of Aaton-Digital.